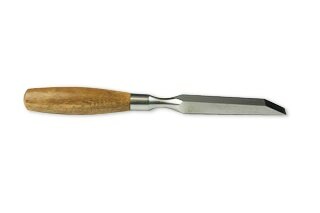 The chisel sides are ground at 90° to the blade to maintain a square ‘attack’ on the mortise. 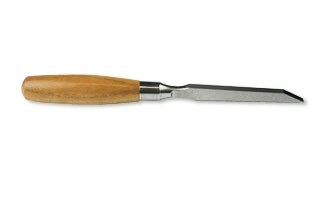 The CNC turned handles are Spotted Gum hardwood for strength and resilience. 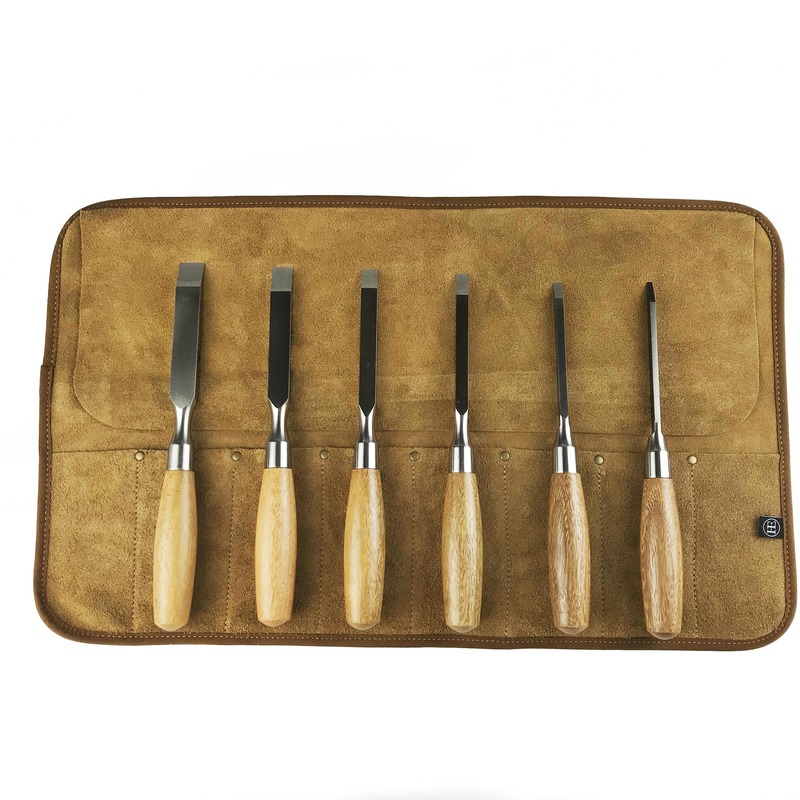 Their style is closest to an ‘English carver’ and will suit large and smaller hand sizes.